One in three people – especially millennials – were willing to take a chance on a haunted home if there was something to sweeten the deal, while 18 percent of people say that the haunted nature of the home wouldn’t affect their purchase decision at all, according to the latest Haunted Real Estate Report from Realtor.com. I’ll buy, but I need a something more: A third of the respondents were willing to take a chance on a haunted home if presented with additional features. Topping the wish list was a cheaper home price (15 percent), followed by a tie between a larger kitchen and better neighborhood (9 percent). Millennials are the most price-sensitive of all demographics, with 17 percent persuadable by a lower price tag. Nothing else required: Surprisingly, 18 percent of people wouldn’t require any additional features to choose a haunted home over a non-haunted home. Nearly a quarter of those aged 35-54 said they wouldn’t be affected by the haunted nature of the home while making a purchase decision. Would not buy, not for anything: For the remaining 49 percent, there’s no price low enough or kitchen large enough to make them purchase a haunted home. The older generation of home buyers is the most reluctant to move into a haunted house, with 61 percent of those over 55 insisting that they would never buy a haunted home as opposed to 41 percent of millennials and Gen X’ers. 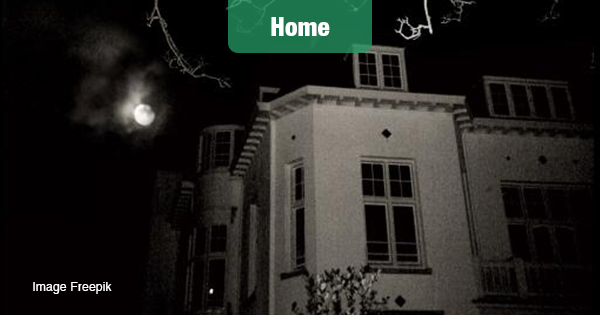 Living in a haunted home is more common than one would imagine, and not necessarily a surprise to the occupants. Nearly two in five people believe they have lived in a haunted (or possibly haunted) house, and 44 percent of them either suspected or were fully aware of said haunting before moving in. In fact, the majority of people under 55 years old suspected — or were sure — their home was haunted before they moved in, a decision possibly incentivized by a lower home price or better neighborhood. Hearing strange noises (54 percent) topped the list of most common spooky behaviors, followed by odd feelings in certain rooms (45 percent) and erratic pet behavior (34 percent). A Seller’s Haunted Dilemma: To reveal, or not to reveal? Mum(my)’s the word: Saying absolutely nothing is the third most popular approach for hypothetical sellers, with 22 percent preferring to stay quiet. This is a strategy preferred by 25 percent of those over 35 years old.